Image credit: Sergiodlarosa via Wikimedia Commons, CC by 3.0. Longevity: not known, but fossils of old-age individuals have been discovered.. 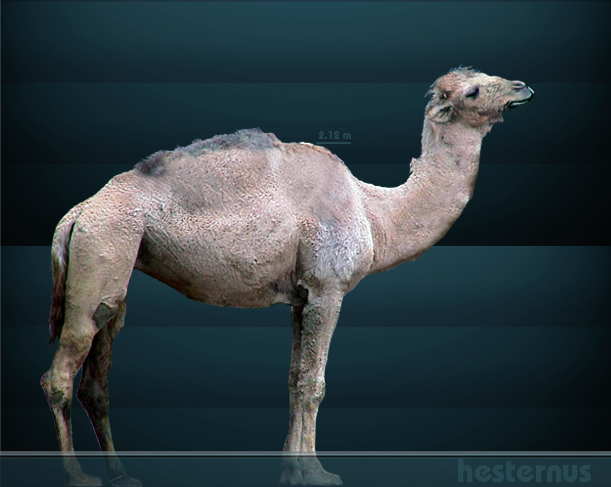 Feature Facts: Camels were hoofed natives of North America.Their family's evolutionary history on this continent began in the Eocene Epoch at least 45 million years ago only to become locally extinct a mere 11,000 years ago.